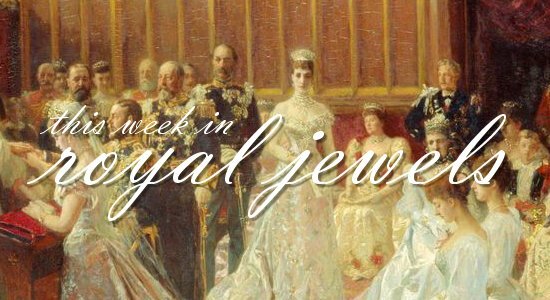 We begin September with a look back at the royal jewels we've seen over the past two weeks. Don't forget to vote for your favorites in the poll below! 15. 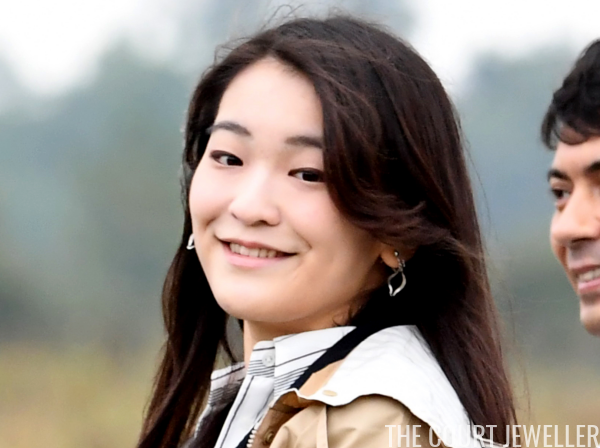 Japan's Princess Mako wore delicate silver-toned earrings during a family trip to Hungary on August 20. 13. On Monday, Crown Princess Victoria of Sweden paired orange drop earrings with one of her mother's vintage dresses for a seminar on antibiotic resistance during the World Water Week conference in Stockholm. 12. Queen Maxima of the Netherlands chose bright pink earrings to mark the 60th anniversary of Kansfonds on August 22 in Delft. 11. 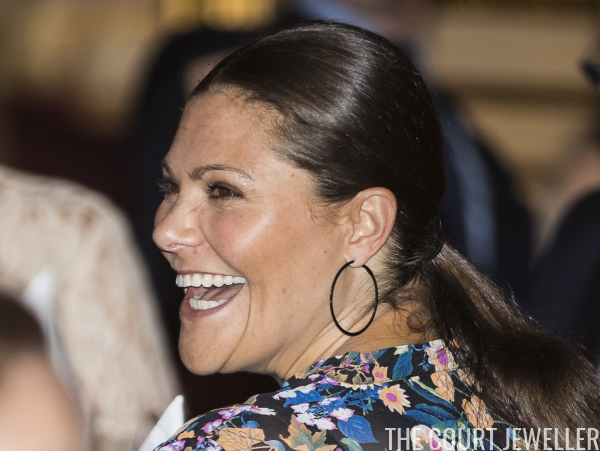 On Tuesday, Crown Princess Victoria wore dark, glittering hoop earrings for the Stockholm Junior Water Prize. 10. 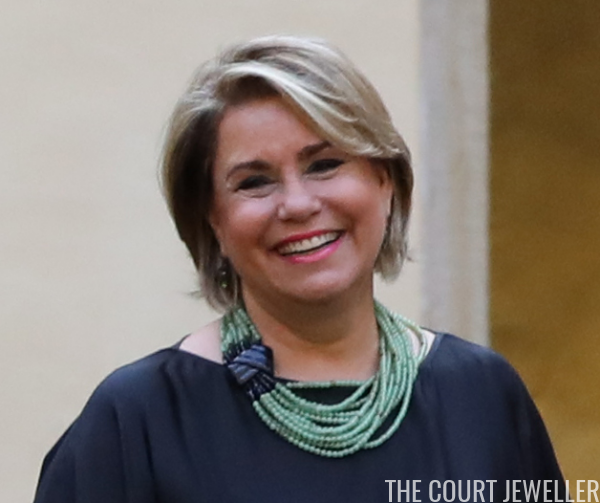 Queen Maxima wore her milky cabochon pendant earrings with her diamond wedding bracelet and her diamond initial bracelet on August 24 for the 650th anniversary of the Bartholomeus Gasthuis. 9. Prince Nikolai of Denmark turned eighteen this week, and his mother, Countess Alexandra of Frederiksborg (pictured here with her younger son, Prince Felix) wore sparkling stud earrings and a cross necklace for his birthday party on Monday aboard the Dannebrog, the royal yacht. 8. Queen Margarethe II of Denmark selected modern red jewels for her eldest grandson's birthday party on Monday. 7. 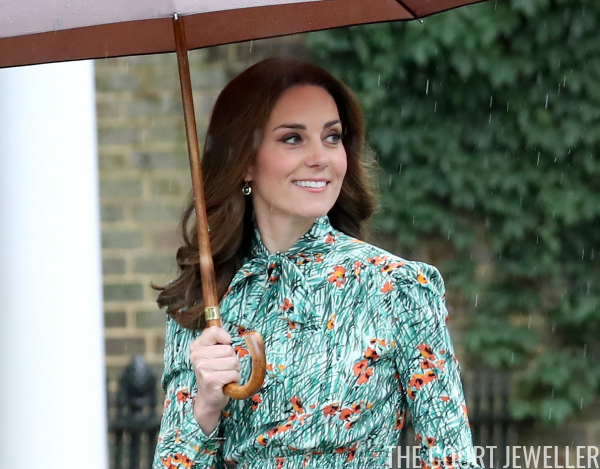 Nikolai's stepmother, Princess Marie of Denmark, wore a glittering pair of modern pendant earrings for his birthday bash. 6. And Nikolai's aunt, Crown Princess Mary of Denmark, wore earrings with pale gemstone drops. 5. On Wednesday, Queen Margrethe wore modern cluster earrings and her anchor brooch for her arrival at Roenne Harbour on the island of Bornholm in the Baltic Sea. 4. Crown Princess Mary chose pearls (earrings, bracelet, ring) for Tuesday's opening of the National Care Center in Copenhagen. 3. 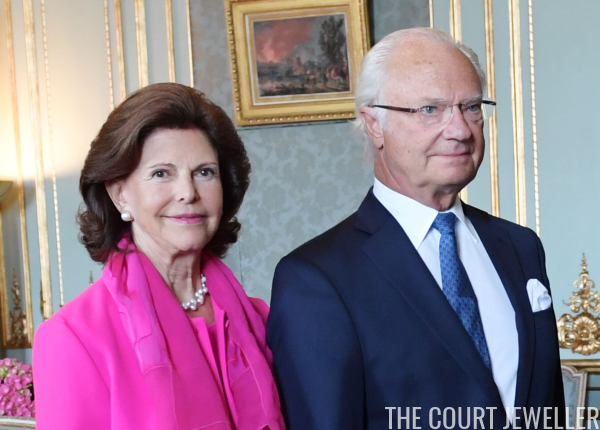 On August 24, Queen Silvia of Sweden chose pearls to celebrate Finland's centennial jubilee at the Royal Palace in Stockholm. 1. My top vote for this super-sized royal jewel roundup goes to Princess Beatrix of the Netherlands, who wore pale blue cabochon earrings with a coordinating cluster brooch for the dance event Free to Move at the Zuiderstrandtheater on Thursday in The Hague.